Who put the hit on Charley? Charley Fieldner appears to have the perfect life: a well-paying job, a loving wife, two great kids, and a beautiful home. He also has a big secret. Charley is a hit man with a huge complication - he is his own next target. Charley needs time to unravel the mystery behind who wants him dead and why, but time is in short supply. Another killer has the contract. He now has a choice - roll over and die or fight for his life. Dripping with suspense, mystery, and chills, this thriller will keep you hooked until the very end. I think this book is as good as Peter Thompson's first book, LIVING PROOF. If you haven't listened to that one I recommend it. So far all of his books are stand alone, that's just a really good one! This book hits the ground running. The protagonist is Charley Fieldner. He's a hired killer. He's average in everything, his looks, height and build. What's not average about him are him hand to hand fighting skills. He works for The Agency autonomously as did his father. They don't even know his real name so it's not too surprising when they offer him a contract to kill himself. Unfortunately for him, even though he remains anonymous, so does the client. Charley accepts the job and is given two weeks to complete. But then he gets contacted from the Agency, they want to job completed quickly. Charley now needs to find out who wants to have him killed and remove the contract or kill that person. But WHO? His wife? Best friend? Someone else? And can he spot another hit man before gets to him? Was another killer hired also to make sure the job was done? This book is fast paced with a completely unexpected ending. Gary Tiedemann does a fantastic job narrating. This is my second title from author Peter J. Thompson. The premise intrigued me; a hit man who gets assigned to his own hit. Crazy, right? The story was a psychological masterpiece as Charley tries to decipher who put a hit on him. His wife? His best friend? His sister? Or his dad? The list is not that long but it certainly presents its challenges. I was thrilled with the story until the end. It seemed anticlimactic and rushed. As the narrator, Gary Tiedemann was methodical in his portrayal of Charley. Tiedemann embodied the character and it resonated with me. Great Story and an equally great Narrator. Peter Thompson weaves a very believable tale. Gary Tiedemann brings it to life. 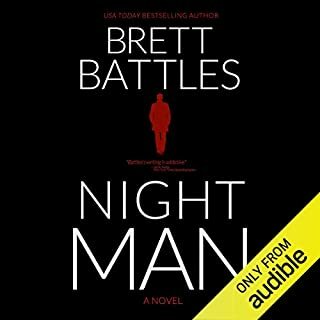 There are very few audiobooks I've listened to in one day... This is one of them. "Hit Me" held my attention from beginning to end. Inside the mind of a Hitman. I found this story very interesting and from the perspective it was written. Most of the story takes place in the mind of Charley Fieldner a hitman who's life seems to be falling apart and who has become the hunted not the hunter. It is all about his thought processes, how he sees the world, himself and those around him. I have read a previous book by the author that takes place in the same 'universe' and when I read that book (The Runaway) I thought it would be interesting to have a book based more around 'The Agency' and this one definitely involves it quite a bit. 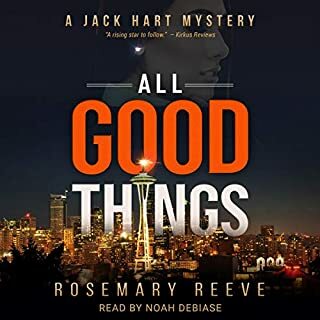 The author does a great job making you feel for Charley and even root for him which is fairly impressive considering he is a Htiman and he does some pretty terrible things but you still want him to come out on top. The mystery and action in the book were also very well done. Gary Tiedemann did a great job with the narration in the book and with the characters, he set the right tone and just fit this novel and character very well. I enjoyed this book and find that there could be even more stories told about 'The Agency' and people surrounding it in future novels. I'm more of a sci fi girl, but I decided to try this book out as it was offered for free for an unbiased review. There was mystery and suspense and I did not see the ending coming. The pace moved along quickly. One hole in the plot was the wife to me. Talk about jumping to conclusions. This is someone she was married to for ages with no prior suspicions, and boom. I definitely liked the performance, the narrator had this conspiratory tone of voice through out. Only thing, and that might just be me because I am from Chicago, I noticed so much of name dropping of towns surrounding the city, just kind of weird to hear. Naperville and Schaumburg just strange in a novel for me. Overall good listen, I was not bored at all. I am not even half way through this loooooonnnnnggg, drawn out, repetitive book. Soooo. much. repetition. It kills. The story likely could have been half as long as it is and had more impact. The narrator has a super monotone voice, but, it makes the material, sort of chilling. Another solid thriller from Peter J. Thompson. Over the last year I've become quite the fan of Peter J. Thompson. He writes gripping, fast paced thrillers. Hit Me kicks off with an intriguing premise. Our hero Charley is a hitman, and when he receives his next assignment he is shocked to learn he's the actual target. And now with the clock ticking Charley must discover who wants him dead and why. It's an intriguing story with a great cast of characters. There were a few plot holes and I thought the ending felt a bit rushed, but overall it was definitely a fun story and I look forward to seeing what Thompson does next. As always Gary Tiedermann's narration is top notch. He does a great job of bringing the characters and story to life. 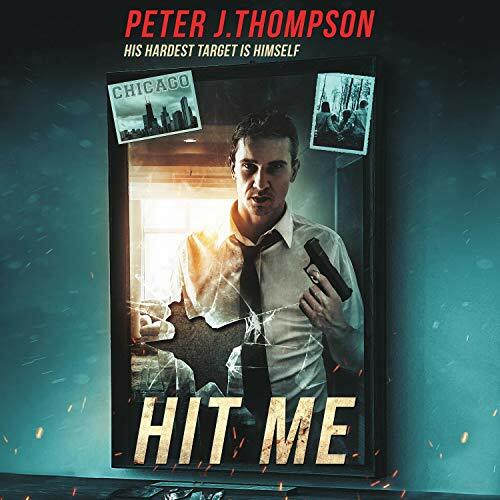 Hit Me: A Killer Mystery Thriller was a good read by Peter J. Thompson. Charley is a hit man, husband and dad. Charley gets another job but his next target is himself. He starts to create a suspect list and starts to try and find out who wants him dead. I really enjoyed reading this mystery thriller. 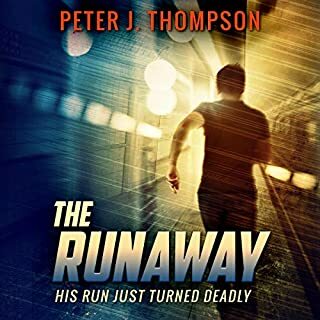 Another great thriller from Peter Thompson! This is my 3rd Thompson novel and I have enjoyed them all, though I did enjoy The Runaway just a tad more than this one. The thing I liked most about this book is that Charley could be an unreliable narrator. The story had me guessing for most of the book; did Charley have his facts straight or was he really a bit deluded, walking that thin line of insanity? That suspense had me glued to the story. The ladies are few and far between in this novel and really, you could basically leave them out and the story wouldn’t be missing anything. So, obviously I would have liked them to have more of a presence. That’s the only weak spot for this novel though. Hit Me reminded me a little of that John Cusack movie (Gross Pointe Blank) where he plays a hit man who wants a normal life and thinks of himself as a generally good guy. Charley honestly cares about his family and takes an active, positive role in their lives… but we do see streaks of anger management issues as his professional life starts to unravel. Someone has put a hit out on him! Oh, my! The balance of action and Charley’s introspection was well done. I was never bored but I got to know Charley, which fed into that suspense I mentioned above. I love that there are multiple possibilities as to who might want Charley dead. I also love that he has to work hard to figure out who is behind it. The ending does wrap up the big questions and yet it still leaves the door open for a sequel. If we get a sequel, I will be very happy with this ending. If we never get a s sequel, then this ending will nag at me like a loose tooth. All together, a worthy thriller. 4.5/5 stars. The Narration: Gary Tiedemann continues to give us great narration of Peter Thompson’s works. He had a great voice for Charley, making him sound sincere at all the right moments but also giving voice to that trained killer as well. I really liked his snotty voice for the lawyer Pat. His kid voices were great too, especially for Jason who was throwing some attitude around. The pacing was perfect and there were no technical issues with this recording. 5/5 stars. To life: the taking and the giving. Charles Fieldner is a fortunate man. He has a beautiful wife, whom he loves, two children, a girl and a boy, who love him, a nice home, and the income to maintain a comfortable lifestyle for them all. And as he approached 40 he'd started to think about retiring even though he's still good at his job - as a contract killer. Then the Agency contacted him with the information on his next target: himself. He has two weeks to find out who wants him dead before the contract passes to someone else. This is an intriguing plot line and one which could go horribly wrong without the author's first gaining the reader's sympathy for his main protagonist. But Peter Thompson achieves this by writing in the first person, opening up the inner fears, hopes and memories of Charlie showing him to be just an average, ordinary man like most everybody else. He's a problem solver with his own code of ethics: everyone he removes is 'a bad man' who should not be allowed to live. 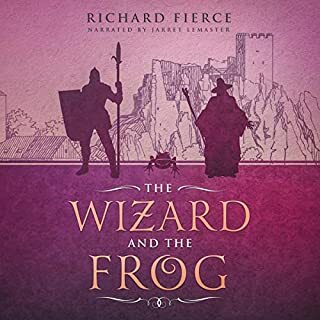 But despite his being well written, for this reader it was the excellent narration by Gary Tiedman which made Charlie the hero, or rather, the victim we want to survive. Mr.Tiedman's very pleasantly hypnotic voice softly brings to us a real presence of the character, removes the threat and emphasizes his likeability. And his frailties. A very fine performance. 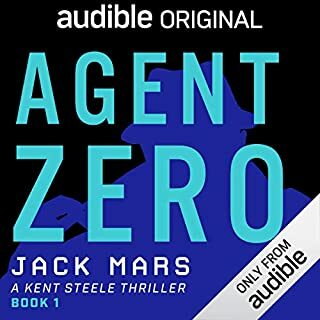 I am indebted to the rights holder of Hit Me, who, at my request, freely gifted a complimentary copy via Audiobook Boom. Thank you so much. I will definitely be looking out anothers by this author, curious to see if the style of writing here is his normal one. 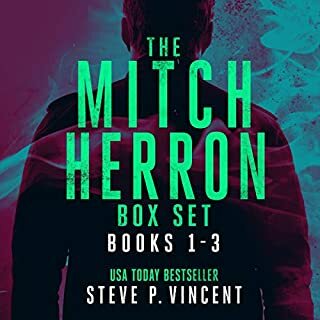 Despite some flaws or unanswered questions in the plot, I really enjoyed this book and can recommend it as a light, fun, imaginative mystery thriller.